Where are you on the map? 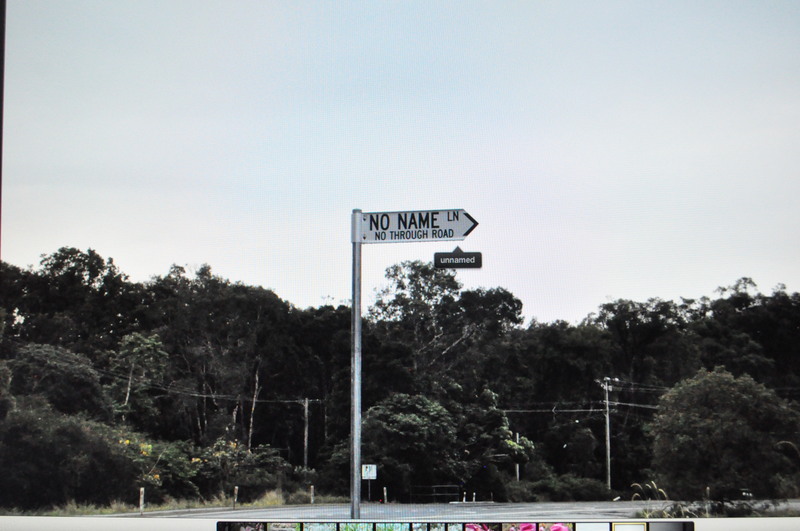 Byron Shire Council has since named this road Eucalyptus Lane, which I think shows an extraordinary lack of creativity akin to being told ‘applicable’ is NOT applicable as a password. Judging by the local wildlife warning signs in town, the humble koala may have to go radical (in a drop bear kinda way) or hitch it’s way out of town. Maybe the RMS hope that the aforementioned koala has passed on some literacy skills to their friends and all will and head down Eucalyptus Lane in the hope that there is more on offer there than paperbacks and the roadside leftovers of free-campers who’ve been chased from the pothole-ravaged beachside car parks? If I ever see a koala in the area, I’ll mention it here. This entry was posted in Photography, Poetry and tagged Alexandra J Cornwell, Alexandra J Cornwell (poet), Alexandra's Photography, Australia, Australian poetry, Brunswick Heads (NSW Australia). Bookmark the permalink.